There's no crying in baseball! Okay, okay. 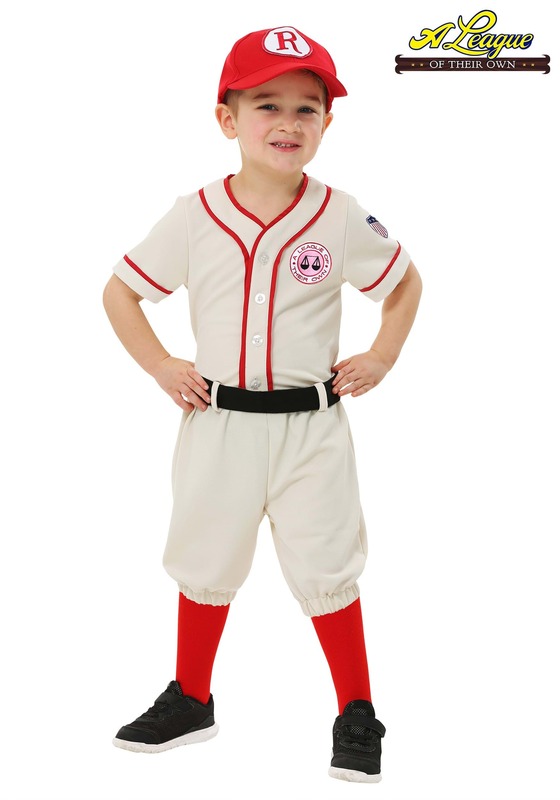 So even we'll admit that when you suit up your toddler in this A League of Their Own costume, there might just be a little bit of crying. But that's what happens when you put a two year old in charge of a women's professional baseball team! 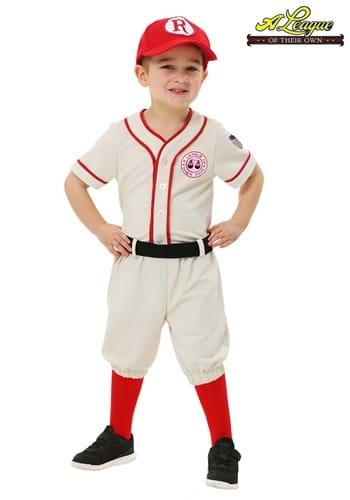 All kidding aside, this officially licensed Rockford Peaches Jimmy costume for toddlers will transform any little one into the tough talking, heavy drinking, poor mannered character from the beloved cult classic film. (Except we're pretty sure your little guy won't be cussing or drinking!) Fans of this iconic film love the journey that Tom Hanks' character made in the movie, and now you can create a family A League of Their Own themed group by including your youngest as the team coach. Our entire line of A League of Their Own costumes are officially licensed, and are quality replicas with the details that matter to fans. They're made and designed right here at HalloweenCostumes.com, and we'll be the first ones to tell you that we are serious movie fans. And we have to say, having your little one as the coach will be a delightful touch--whether his sisters are Kit and Dottie, or even if it's your toddler's turn to manage the adults on the field as Jimmy! He's a natural! Thanks for the review and for the picture, we hope he had a wonderful 1st birthday party. This was better than I expected, the quality was that of a true baseball uniform and it came with everything but the shoes! If I had to do it all over again I wouldn't have changed a thing! Great buy!